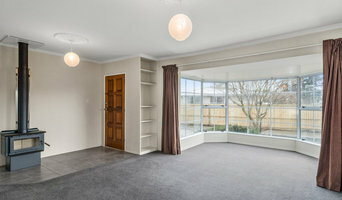 Helping people in Christchurch buy and sell houses. Real Estate is a complex and dynamic area of work that demands experts to stay informed about rules and regulations as well as the Christchurch, Canterbury, New Zealand market. As you can imagine, agents and brokers vary as much as the properties they sell. You'll need to be as savvy in selecting a realtor as they are in getting you the best price. When you're looking to buy a home, a buyer’s agent represents a home buyer or seller in a real estate transaction. A buyer’s agent will find Christchurch property listings that match your needs, works with the seller’s agent to schedule showings and accompanies you on visits to tour the home. If you’re interested in the house, the agent handles price negotiations and other terms of the sale, and coordinates the appropriate paperwork. If you are engaged in a home sale, a seller’s agent will help you determine a listing price for a Christchurch, Canterbury, New Zealand property and can suggest repairs, upgrades and staging ideas to boost the home’s appeal. He or she is in charge of marketing the house to prospective buyers and other agents through signage, websites, print ads, open houses and other methods. As with a buyer’s agent, a seller’s agent represents you in negotiating the sale. Find an agent or broker on Houzz. Narrow your search in the Professionals section of the website to Canterbury agents and brokers. If you’re in the market to buy or sell a home, you may be interested in hiring other professionals as well. Here are some related professionals and vendors to complement the work of real estate agents: Home Stylists and Property Staging, Photographers.